Without moments of quietness, we tend to be run by our life, rather than being at its centre. Eutony offers you a time to return to your base, so as better to jump. 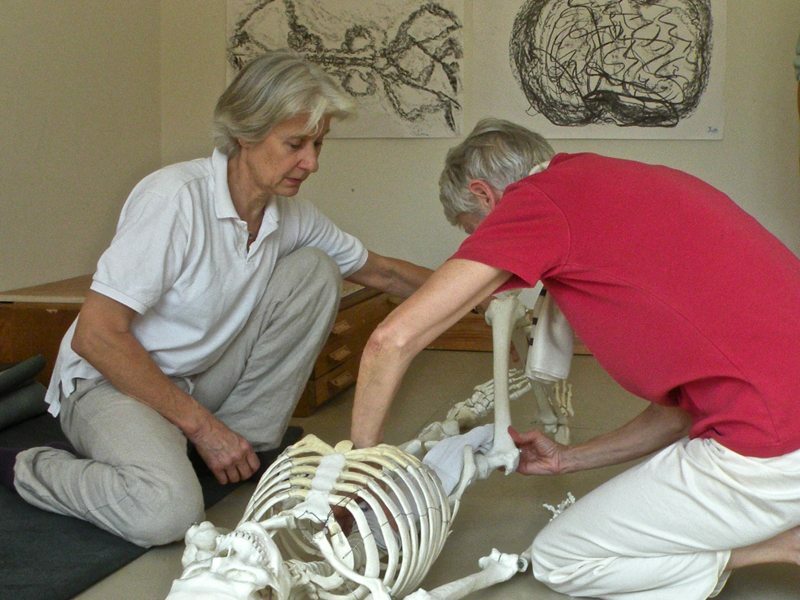 Thérèse Melville completed the 4-year training with Gerda Alexander in Copenhagen in 1979. As well as the diploma in Eutony GA pedagogy and therapy, she also holds a degree in Physiotherapy from Brussels University, and a diploma in Ceramics from City Lit, London. Thérèse teaches Eutony in the UK, in Belgium and France, both to the general public and to specialist groups of people such as dancers, artists and therapists. 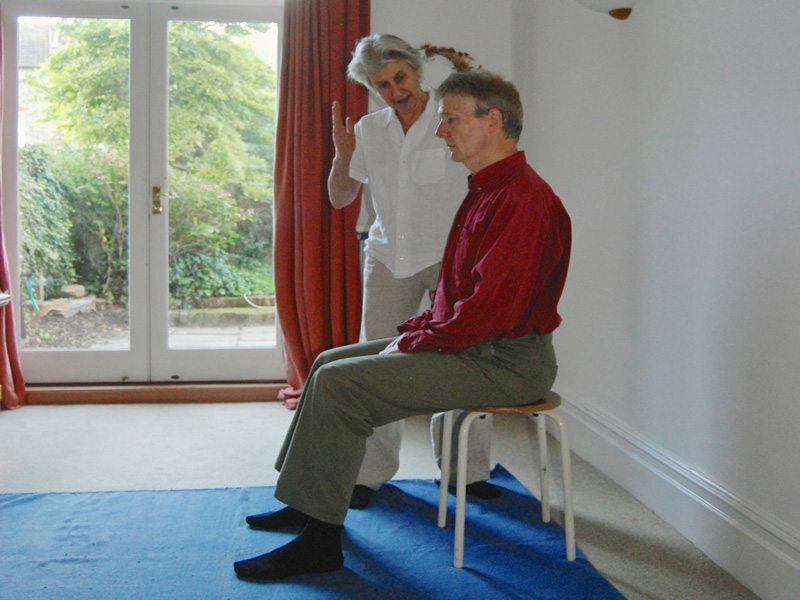 Her personal approach to Eutony is informed by her journeys through physiotherapy, psychoanalysis, and art. 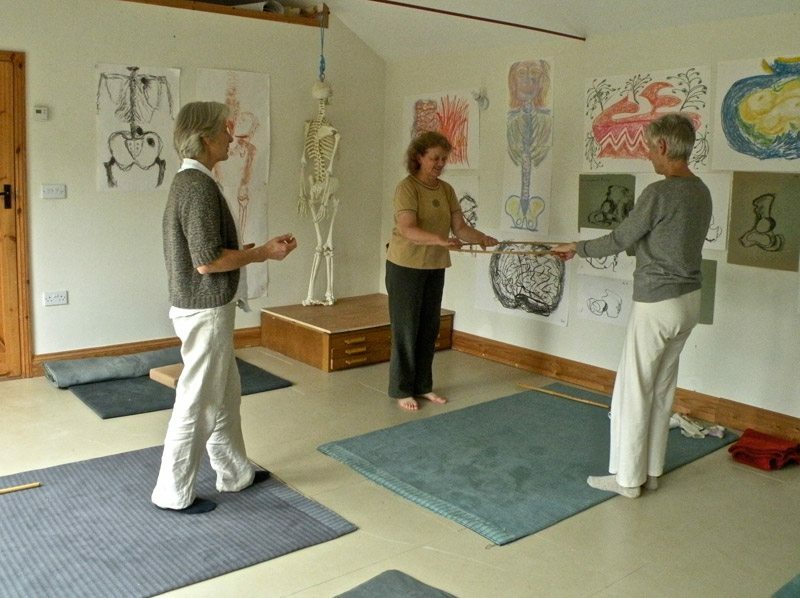 She combines an intuitive approach with a strong scientific basis. Integrity and respect for the individual are fundamental for her. Thérèse is also a potter and a sculptor.
" The teacher must develop the capacity to observe the pupil's behaviour, posture, movements, tonus, breathing rate and quality of voice, circulation - i.e. all the nonverbal manifestations which indicate his physical and psychic state. The teacher must also feel within himself the pupil's tonus condition."